When it comes to design, often times massage chairs lack finesse. They are traditional. They are boring. And they are basic. Then, a chair comes to the market that has a bit more grace, elegance, and sophistication. The Cozzia EC363E is the elite in design for massage chairs. With all of the beautiful and needed features of a massage chair with the design elements that make it beautiful on its own, this chair is more than well-rounded. It is beautiful. The Cozzia EC363E is more than just beautiful, though. It has amazing features that make it a strong massage chair. 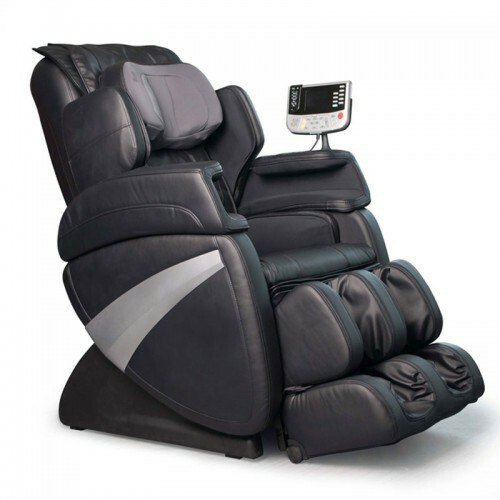 From the scanning feature to the intensity options, the Cozzia EC363E is a chair that can provide the much needed relaxation and massage techniques that users want and need in a chair. To learn more about this amazing chair, check out the review of the Cozzia EC363E and how these features may make the perfect addition to your home. There are those that like a tough massage with a great deal of intensity. There are those that want a weaker and more delicate massage. For many chairs, the options of having both in one are not possible. The Cozzia EC363E does not believe that a user should have to choose. In fact, they have focused on allowing the user of the chair to choose the intensity level that they want and mix it up as they need. With five different intensity options, those that sit in this massage chair are truly in control. They can have a deeper massage or a gentle one whichever and whenever they choose. This is a coveted feature and one of the best in this model. The Cozzia EC363E has another great feature that ups the effectiveness of the machine: the auto-scan. The auto-scan actually takes what amounts as a picture of the dimensions of the body. The height and width are detected through infrared sensors. What this does is allow the chair to respond to the needs of the individual. It also allows the chair to customize the massage to that particular user’s needs This is something that is very unique and not equipped on all chairs. It also is amazing in how it can change the effectiveness. The massage is better and deeper and more effective. This is a popular and very coveted feature and makes the Cozzia EC363E one of the best in the business. Programming is important on a massage chair. It determines what type of massage there will be and what it will provide to the user. The Cozzia EC363E is a chair that believes in options. The Cozzia offers users six different options in a massage. They have everything from programs that are focused on health and well-being. There are options that promote the body’s cardiovascular health and blood circulation. There is even a program that has therapeutic features, too. With these different options, the user is in charge of what they want and can really mix it up as they feel and need. This is another of the popular reasons why this chair is topping the charts. A massage can be made better by heat. It helps to relax the muscles and really prepare the body to get ready for the massage that is about to happen. The Cozzia EC363E does not disappoint with their heat options. The heated feature is great in that it can help to, as noted, relax the muscles. It also does something else. When heat is used in a chair like this and coupled with a programmed or other chosen setting, it can really help healing. It also helps the blood to get flowing as well. As such, heat is an important element and the Cozzia’s targeted approach is amazing.